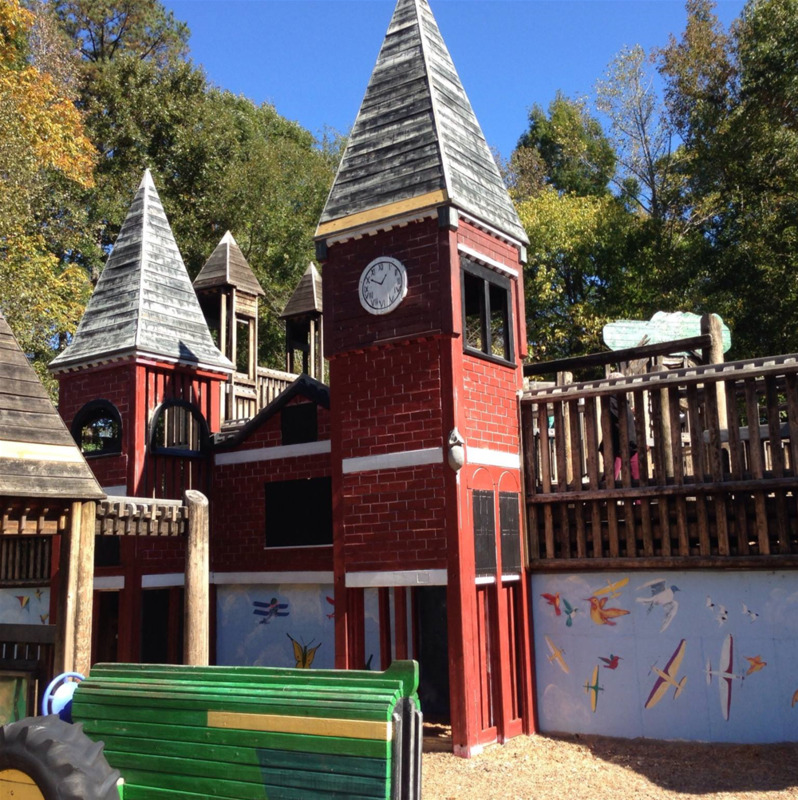 Hickory Dickory Park is "a unique playground experience for children," according to the Auburn Community Profile. 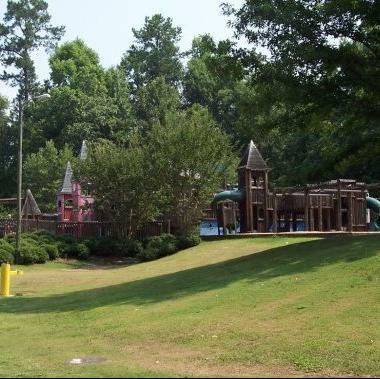 This 12,000 square foot park located at 1399 Hickory Ln is composed of a play space, picnic area, and restrooms facilities. The park is not available for reservations for functions or parties. Hickory Dickory Park has two playground areas. 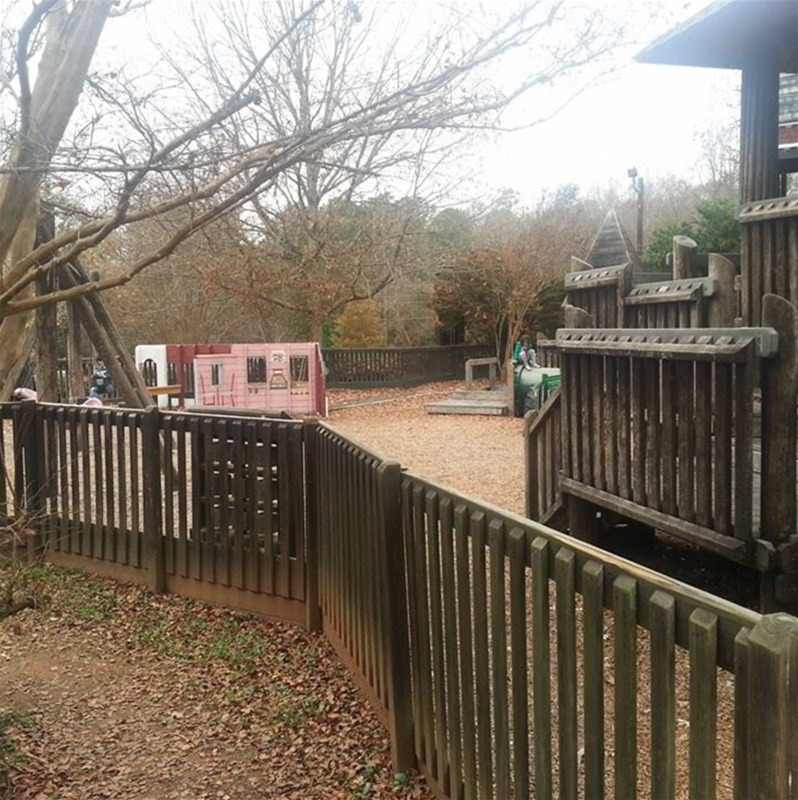 One area is for preschool aged children while older children can enjoy an area more suited to them. In the preschool area there is a sandbox, a slide, baby/toddler swings and other fun equipment such as a wooden tractor, a gear box and a fun mirror. Younger children can play here safely away from rowdier older children. In the preschool area is also a swing made for those with special needs. As a true Auburn park, there is a pretend Toomer’s Corner area where children can sell imaginary ice cream and lemonade. 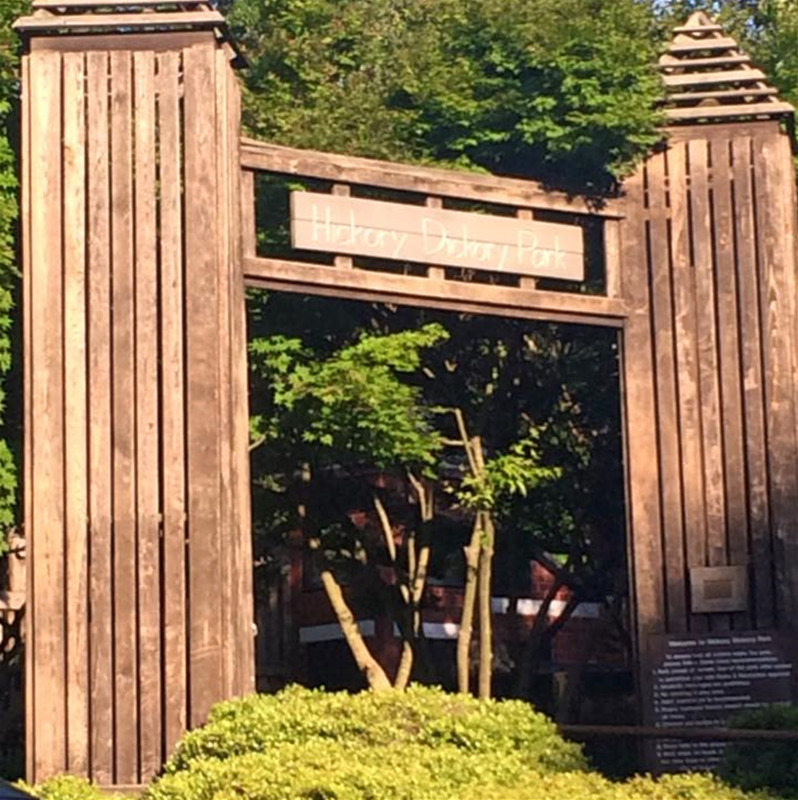 There is even a sidewalk made as a replica of College Street, complete with the tiger paw prints. This is a great area for tricycle riding. A short stair climb (this area is also accessible by a sloping sidewalk) to a covered pavilion reveals picnic tables and benches lining the sides of the pavilion. Here parents can sit and observe their children playing. It is a cool place to sit during the summer months and have a picnic. 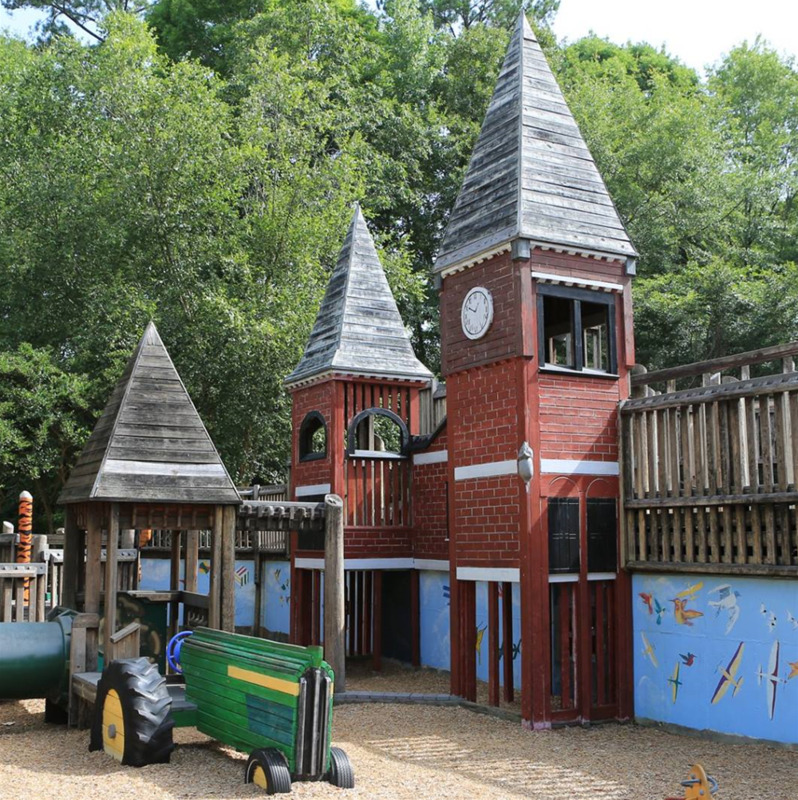 The older children’s play area has three slides, climbing ropes, swings, a lookout tower, and monkey bars. There is plenty of room for children to run and even play hide and seek. Both of the playground areas at Auburn’s Hickory Dickory Park have a thick ground covering of wood chips to prevent injury from falls or other play mishaps. 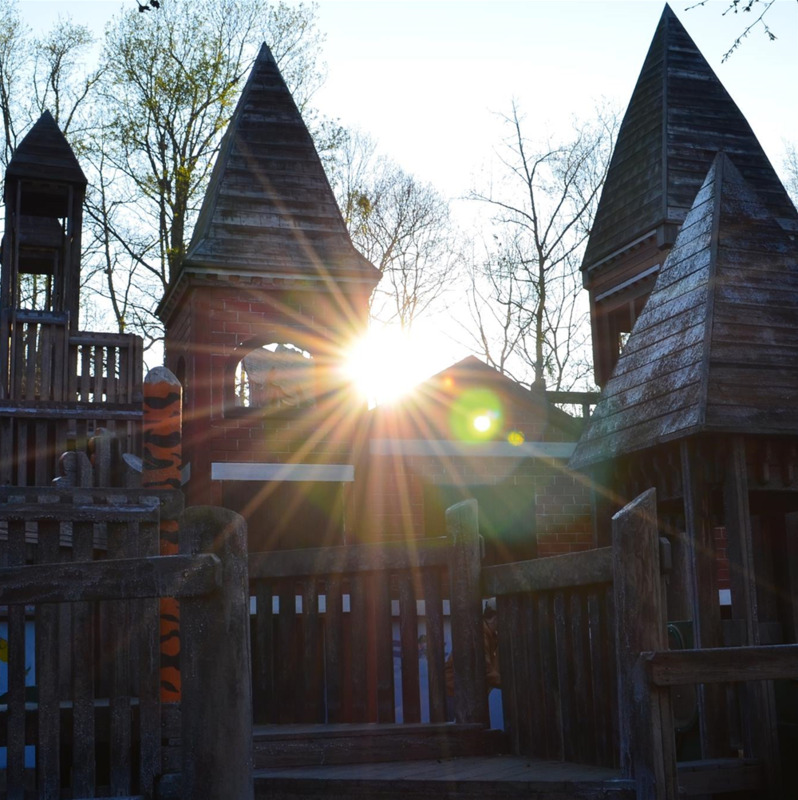 In addition to the playground areas, Hickory Dickory Park has an enormous grassy area that is perfect for playing ball, hosting birthday parties, having a sack race or just letting children run 'til their heart’s content. There are more picnic tables in this area as well as water fountains and restrooms.